The Cuyahoga County Department of Public Works announces repairs and resurfacing for East 9th Street. Weather permitting, road work on E. 9th Street from Euclid Avenue to North Marginal Road will commence on Saturday, August 3, 2013. The contractor will be milling the existing pavement and then follow up with any needed repairs. During this time the majority of the existing lanes will be open to traffic. Please be advised that since traffic will be riding on the milled surface, there will be castings, such as manholes protruding. Although these castings will be ramped, please use caution. 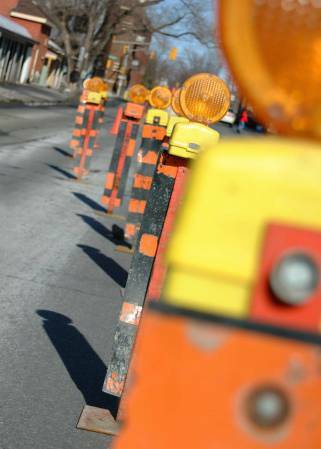 As work progresses, please be patient when dealing with the inconveniences of construction. The Department of Public Works urges patience and caution when traveling within this construction zone. Motorists are encouraged to ride RTA or carpool through OhioRideshare during these restrictions. • The contractor will be adjusting castings (manholes, catch basins, ect.). castings adjustments with barrels/and or police officers. vehicles entering and exiting the work zones. carpool through OhioRideshare during these restrictions.